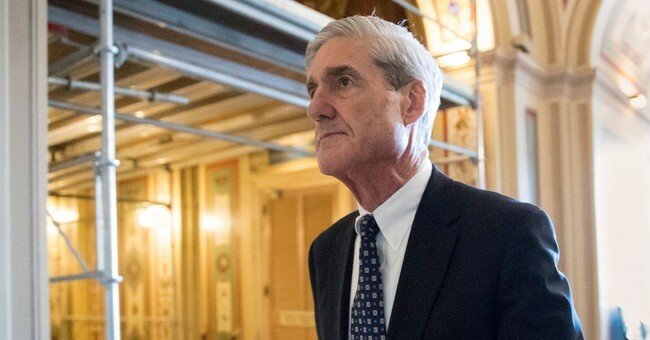 Hmmm: Is Mueller Preparing to Wrap Up His Probe in the Coming Weeks? Let's discuss what NBC News reported yesterday, then decide whether that supposed timeline is still operative, in light of new developments. What NBC's sources are telling them is that Mueller and company are preparing to start issuing their findings as soon as next month, starting with the obstruction of justice angle, then moving on to the bulk of the probe: Russian meddling and potential "collusion." Is this saga finally nearing its conclusion? Mueller’s team had been aiming to finalize a report on its findings on whether the president has tried to obstruct justice in the Russia investigation in the coming months, as early as May or as late as July, three sources said. That timeline hinged in part on reaching a decision on a presidential interview, these people said. One person familiar with the investigation described a decision on an interview as one of the last steps Mueller was seeking to take before closing his investigation into obstruction. Now, according to two sources, Mueller’s team may be able to close the obstruction probe more quickly as they will not need to prepare for the interview or follow up on what the president says…Three sources familiar with the investigation said the findings Mueller has collected on Trump’s attempts to obstruct justice include: His intent for firing former FBI Director James Comey; his role in the crafting of a misleading public statement on the nature of a June 2016 Trump Tower meeting between his son and Russians; Trump’s dangling of pardons before grand jury witnesses who might testify against him; and pressuring Attorney General Jeff Sessions not to recuse himself from the Russia investigation. The word is that Rosenstein and Sessions may soon be goners, according to the Journal, which would raise the temperature around Mueller to a boiling point. This spring/summer political season is going to be a doozy. But wait: How can Mueller and his associates possibly be nearing the denouement of their probe when Trump's personal lawyer just had his doors kicked in by the FBI? Wasn't a large amount of potential evidence seized that now needs to be carefully reviewed? And might that potential evidence entail -- gulp -- audio tapes of discussions between Michael Cohen and his most famous client?